Occupy Monsanto Rally 600 St Kilda Rd, Melb: Noon, Monday September 17th. Monsanto has occupied our food and farms. It's time to claim them back. "Something's wrong when Monsanto, which has poisoned us with PCB's, Agent Orange, dioxin and pesticides, controls much of the global food supply. Their latest product, GM food is being silently slipped onto our plates." says Jessica Harrison of GM Cropwatch. "We want the right to eat GM-free and farmers must be able to grow our food without risking GM contamination." Monsanto is also the largest non-GM seed company in the world with about one quarter of the seed market. "People know of Monsanto's convictions for lying and bribery. They know of the illnesses and deaths Monsanto's products have caused. They are very worried that GM food, Monsanto's latest product, is in our food virtually unlabelled as our laws are so weak. "says Fran Murrell of Mothers Are Demystifying GE (MADGE). "If Monsanto thinks GM is so great, label it and let us decide if we want to eat it." Occupy Monsanto is an emerging network of concerned people worldwide who over the past 8 months staged numerous protests at companies connected to GM food and crops. On September 17, 2012 week-long protests begin in St. Louis Missouri USA where Monsanto Corporation is headquartered. Occupy Monsanto events are also in Argentina,Canada, Germany, India, Philippines & Australia. An interactive map with times, dates and locations of the 60+ protests is here. 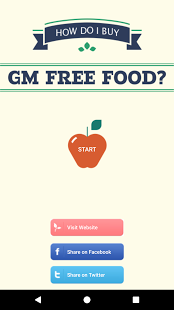 On November 6th California voters will decide if GM foods must be labelled. Monsanto has spent $4.2 million opposing GM labelling in this ballot.